The Soma puzzle consists of 7 pieces, 6 of these pieces are made up of 4 dice each and one is composed of 3 dice. Together there are 27 single dice. 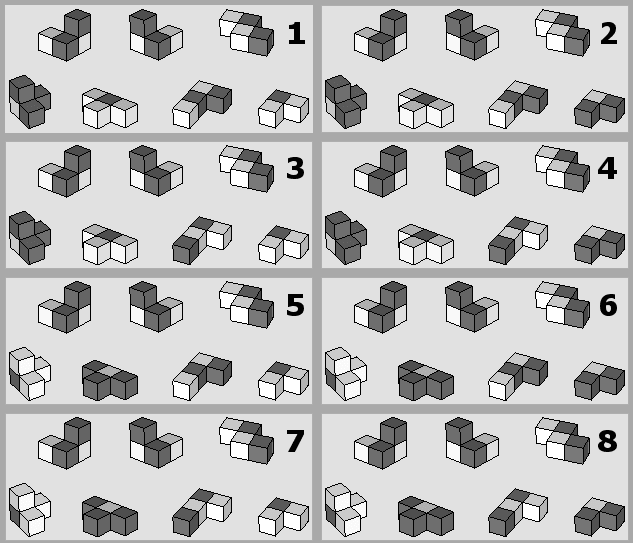 With it you can assemble a 3x3x3 cube and many more figures. You can find a figure collection on the Soma figure overview page. 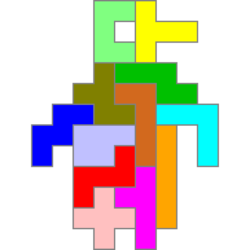 To create and solve Soma figures, I have provided a (Windows) program for download on the solution program download page. The game was invented in 1936 by Piet Hein during a lecture on quantum physics. There are numerous variations of the puzzle. There are 8 ways to create a set of Soma pieces with chessboard pattern. For the pattern sets no. 2, 4, 5 and 7 there are no solutions for the dice. 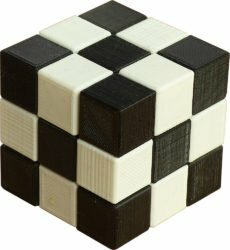 With the Soma solution program you can calculate solutions of any pieces for all chessboard Soma sets.